Even with Case Keenum at quarterback, Denver’s secondary is the most glaring weakness on the Broncos’ roster. The group that led the Broncos to a victory in Super Bowl 50 now seems like a distant memory. Unfortunately, each of Denver’s top three cornerbacks have serious questions surrounding their future. Chris Harris Jr. is still an elite cover corner but will be 30 years old before the start of next season and is coming off a fractured fibula. 2014 first-round pick Bradley Roby‘s contract is set to expire and it is uncertain whether or not the Broncos will choose to re-sign him, though they should. Roby is coming off his worst season as a professional, which could make him a bargain, and with a better coaching staff and more experience starting, he is primed for a bounce-back season. Tramaine Brock is also set to hit the open market after a lackluster season. If the Broncos are able to keep Roby, there is no reason to keep Brock around, as he was just a fill-in at nickel for a year. That lack of depth is a serious problem in a league where more than 60 percent of plays come with the defense in a nickel or dime package, requiring teams to use three or more cornerbacks. The Broncos will have to add at least one — probably two — corners this offseason to fill that hole. The only thing left up in the air now is whether or not they should look for their next answer at cornerback in the draft or free agency. The 2019 free agent class, on the whole, isn’t a strong one but the Broncos should still be able to find some good value in the secondary. Atop the list of targets would be Bears cornerback Bryce Callahan and Chargers cornerback Jason Verrett, though there are plenty of options available. Signing Verrett would be a swing for the fences considering his injury history, but when healthy he has been a top-10 cornerback in the league. The problem is, he is never healthy. Since drafting him in 2014, the Chargers have played in 82 total games, Verrett has appeared in just 25 of them, and only five of the last 50. If he were to finally get healthy though, the Broncos could have a high-end starter at cornerback ready to enter the prime of his career. The Callahan fit makes too much sense for it not to happen. Callahan was drafted by the Bears in 2015, the same season Broncos’ Head Coach Vic Fangio took over as their defensive coordinator. Callahan excelled in Fangio’s system and is coming off the best season of his career, which saw him graded by Pro Football Focus as the seventh-best corner in the league, and the best slot corner. Out of 30 cornerbacks who played at least 200 coverage snaps in the slot, Callahan was easily the most effective, limiting receivers to just 0.69 yards per snap. The other positive about Callahan? He is incredibly affordable. Spotrac estimates his market value to be $7 million annually, which the Broncos should have no problem affording as long as they don’t add a free agent quarterback. In the draft, the 2019 cornerback class is very top-heavy. 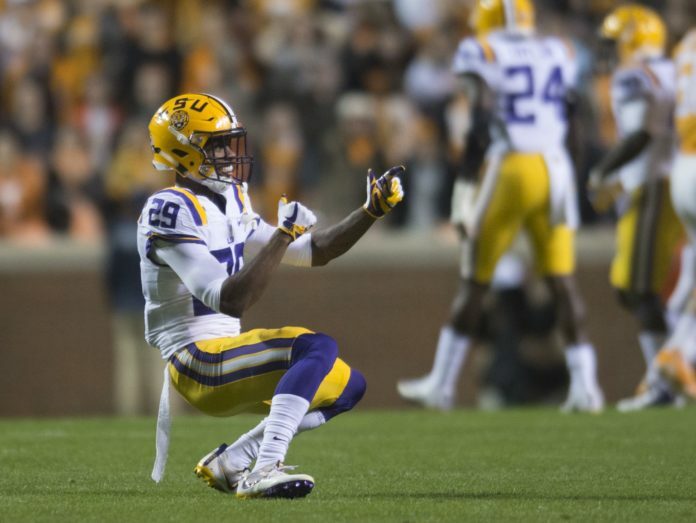 There are four first-round caliber cornerbacks (Greedy Williams, Byron Murphy, Deandre Baker, and Trayvon Mullen) and then a steep drop off. So, if the Broncos want to address their hole in the secondary through the draft, they will have to do it early. The good news, though, is that as the draft process has gone on, those four top-shelf cornerbacks have started to slide down the boards a little bit. 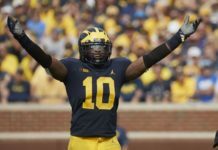 There is now a good chance that the draft’s top cornerback Williams, who Bleacher Report’s Connor Rodgers described as “Richard Sherman but without the dreads,” will be on the board when pick No. 10 comes around. 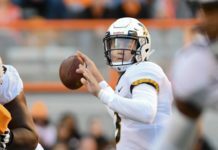 If Williams does manage to fall that far, the Broncos should make their pick before even a second comes off the clock, though it seems that they would prefer to go with a quarterback early. 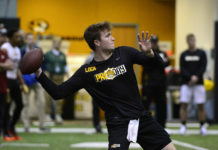 If that is the case, and the Broncos have their hearts set on selecting a quarterback with the 10th pick, then they could either sit at the top of the second round and hope one of those elite four fall, or they could trade back up to get one of them. Trading back into the first round could be too expensive for the Broncos, but if Baker or Mullen last until the second round, it should be a no-brainer to trade up. With Issac Yiadom and Brendan Langley still currently on the roster, it doesn’t make much sense for Denver to go heavy on cornerback depth later in the draft, but there are a couple of second-round prospects to keep an eye on. Primarily, Rock Ya-Sin who was a star at the Senior Bowl, and Julian Love, an excellent, physical corner for Notre Dame this season. The Broncos should look to sign one cornerback during or before free agency, like Bradley Roby or Bryce Callahan, and then they should look to add another cornerback in the draft. The No-Fly Zone is dead, but with a few good moves, John Elway could recreate it this offseason.